Ricochet is a form of wireless alarm technology created by Texecom - the UK’s leading security equipment manufacturer - that underpins the most reliable wireless alarm system on the market. 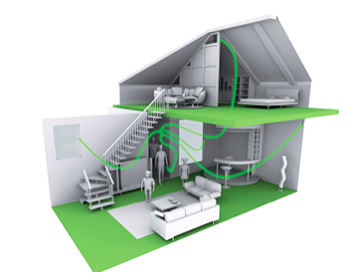 AMCO use Ricochet's technology as our core wireless alarm system. 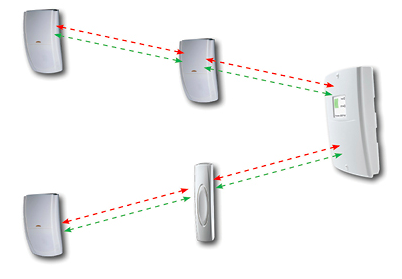 Texecom created Ricochet based upon the realisation that most wireless alarm technology is unreliable, and that reliability is core to any security system - the point being that you need to know that your security system will work at the point you need it. The two core principles of Texecom Ricochet are reliability and scaleability, which for Ricochet are built on its Mesh Network technology. Mesh Network is the idea that each wireless devices is capable of repeating messages from other wireless devices - therefore creating a network of connected devices. The result of devices being connected to each other via Ricochet’s Mesh Network, is that there’s greater reliability (as devices re-route to the best device, and ultimately back to central control panel - meaning connection failure is minimised) and also greater scaleability (as devices can daisy-chain with each other). 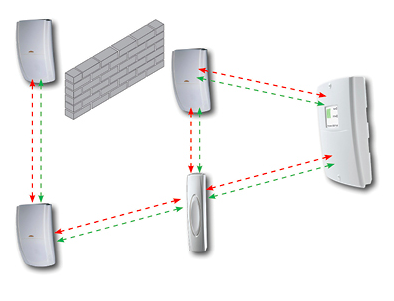 The scaleability of Texecom's Ricochet technology means that its the perfect wireless alarm for large houses & commercial properties, as the Mesh Network enables wireless alarm sensors to connect over a large distance and through thick walls. See the following diagram giving a sense of how devices can re-route in the Mesh Network and ‘self-heal’ - maximising reliability. The opposite of a Mesh Network is ‘point-to-point’ device connection, which basically means that all devices on a system would individually connect back to the central control panel, rather than devices connecting to each other. The sophistication of the Ricochet wireless technology, means that now domestic customers can install a commercial grade wireless alarm system in their homes - giving the best and most reliable wireless alarm system in the UK market, and making the Ricochet techology perfect as a wireless alarm for large houses and commercial properties.